Early Music Now aims at your sweet spot with 16th century music by Constantinople. Early Music Now offers opportunities to explore the historic roots of Western Classical music – primarily the Medieval and Renaissance periods. This Saturday, Early Music introduces Constantinople, a Canadian-based group responsible for groundbreaking research rediscovering the 16th century roots of Persian music. The music is grounded in the distinctly non-western tradition of Radif. The origins are shared with the maqam system in much of the Arab world. The common repertoire consists of more than two hundred short melodic movements called gusheh, which are classified into seven dastgāh or “modes.” Two of these modes have secondary modes branching from them called āvāz. Each gusheh and dastgah has an individual name. This whole body is called the Radif of which there are several versions, each in accordance to the teachings of a particular master or ostad. A typical performance consists of the following elements pīshdarāmad(a rhythmic prelude which sets the mood), darāmad (rhythmic free motif), āvāz (improvised rhythmic-free singing), taṣnīf (rhythmic accompanied by singing, an ode), Chahārmeżrāb (rhythmic music but rhythmic-free or no singing), reng (closing rhythmic composition, a dance tune). A performance forms a sort of suite. My limited take on this: The building block for the Radif tradition is a musical phrase, usually a four-note tetrachord. Each variety of short melodies is called “gusheh” (similar to the “jins” in Arabian music). We might think of them as lego blocks. A complete composition would organize a set of lego blocks into one of many different orders set within a variety of rhythmic patterns. Each set may incorporate subtle variations in the notes – not just the whole steps on a piano, but half, quarter notes and microtones rarely heard in western music. The wider palette allows a variety of emotional content – selected to match the form, the poetry and the intent of a composition. The key combinations are named, committed to memory and passed from teacher to student over centuries. Only in this way are the subtleties of timing and the microtonal differences of pitch accurately performed. Entire websites are now devoted to documenting and teaching the Radif and the maqam systems. Kiya and his brother Ziya Tabassian emigrated from Iran to Montreal. They began investigating Persian classical music from the Safavid dynasty (1501-1736). The composers of that era were exiled after a substantial change of regime. Migrating as far as Constantinople, they carried their traditions and left documentation in remote archives in Turkey and Greece. Constantinople seemed an appropriate name for the ensemble. Constantinople was the center of civilization at that time. “Every artist wanted to visit Constantipole,” Kiya Tabassian has said. Both those rediscovered traditions and the results of east-west interactions are represented in this concert. A western renaissance instrument, the viola da gamba, has been incorporated into the ensemble. 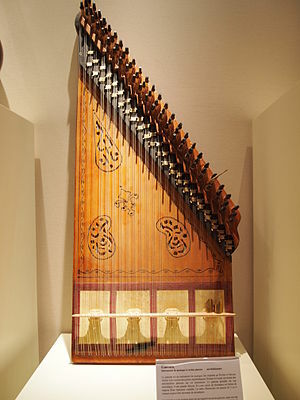 Constantinople will play classical middle eastern instruments including the oud, a string instrument related to the lute but with adjustable frets; the sitar, in a four string variation on the Indian instrument; the kanun (a form of zither also known as the qanun) and a variety of percussion instruments. The kanun requires incredible skill to master. In a typical Turkish instrument, 26 courses of three strings each are plucked, while others resonate. A row of levers allows the performer to rapidly adjust the tones to capture half and quarter notes. Persian classical singer Sepideh Raissadat will sing songs drawn from the works of Persian poets writing in the Sufi mystical tradition – often speaking of romance. This concert offers Milwaukee a rare opportunity to be introduced to a substantially different, but even more carefully proscribed classical music experience, performed by artists with a lifetime commitment to this challenging genre. 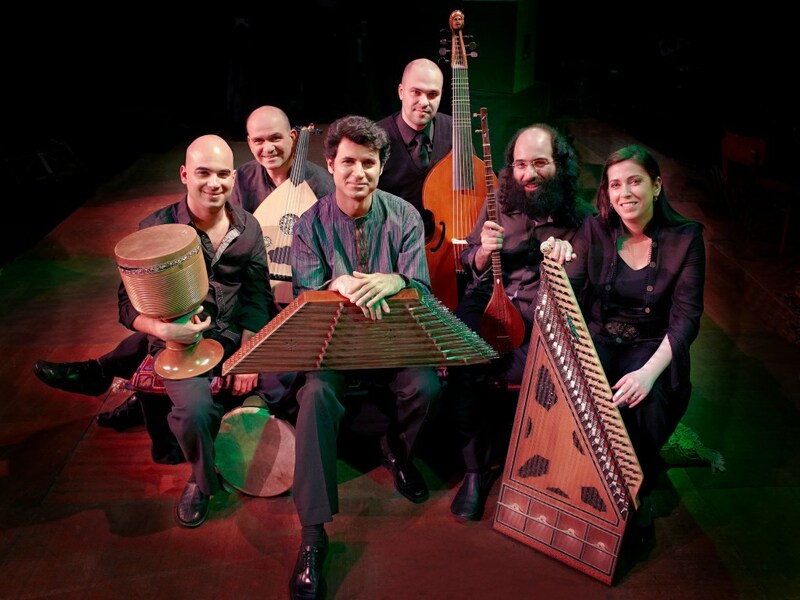 The reconstructed material by the Constantinople ensemble has attracted worldwide interest in their vital scholarship. Constantinople’s residency includes three workshops on Persian Vocal Music, Non-Western Musical Improvisation, and Micro-Tonal Musical Practices on March 17 and 18. Advance registration is required. Early Music Now organizes a traditional fundraiser at the spring concert. A silent auction features new and used treasurers – including concert/ theater tickets, art, music and exotic decorative items someone once found essential that may fit well at your home. More memorable, the festivities include a “Chocolate Reception.” Auction and reception begin before the concert at 3:00 p.m. and end at intermission. Constantinople will perform Saturday evening at 5:00 p.m. in Bader Hall at the UW-Milwaukee Zelazo Center at 2419 E. Kenwood Blvd. Tickets may be purchased at (414) 225-3113 during regular office hours: Tuesday through Friday, 8:30-4:30 or at the Early Music Now website. Available tickets are priced $29-$46 ($10-$15 for students). A complete program and performer profile may also be read at the website. Early Music Now closes the season with a concert April 16th at the Cathedral of St. John the Evangelist. The British choral ensemble Stile Antico offers music from the Renaissance.